Infinit Healthcare understands that the codes of ethics and statutes bounding medical practice calls for a strict compliance among medical professionals. Because of medical records being used in insurance claims, medical research, and lawsuits, documentation in every stage of treatment isn’t just mandatory, it also needs to be done in a meticulous manner. 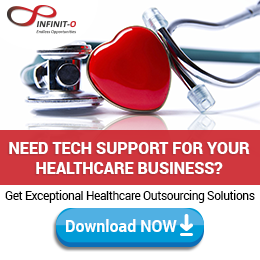 Infinit Healthcare’s outsourced medical transcription service offers an efficient and cost-effective way to produce such documents. Medical transcription outsourcing is useful for companies that are interested in limiting operational costs without compromising the quality of service. Medical transcribing is a time-consuming task. Small and medium-sized organizations often lack employees who are able to dedicate the time and knowledge necessary for keeping detailed records. 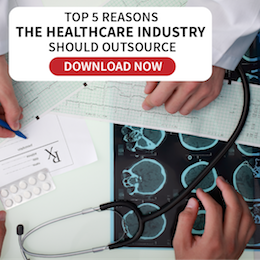 Our off-site medical transcription staff maintains high-quality work while costing less than the high salaries that are usually paid out to in-house employees. 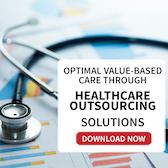 Outsourcing medical transcription services not only reduces the labor costs involved with building an in-house transcription department, but also helps medical professionals concentrate on growing their business and providing quality healthcare. Infinit Healthcare has access to advanced equipment and technology for creating accurate and high-quality transcriptions. Our experienced team of analysts can provide you with accurate and efficient transcription outsourcing services through our ISO certified services and stringent quality assurance processes, which ensures that you receive your transcribed data when you need it.